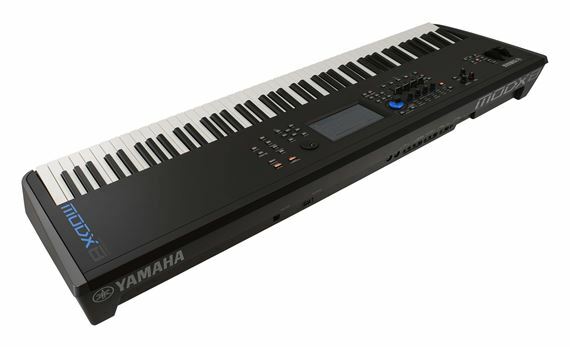 Order your Yamaha MODX8 88-Key Weighted Action Keyboard Synthesizer from AMS and enjoy 0% Interest Payment Plans, Free Shipping, Free Extended Warranty & 45 Day Money Back Guarantee. Artists can create unique sounds unleashed by the power of the MODX synthesis engine. 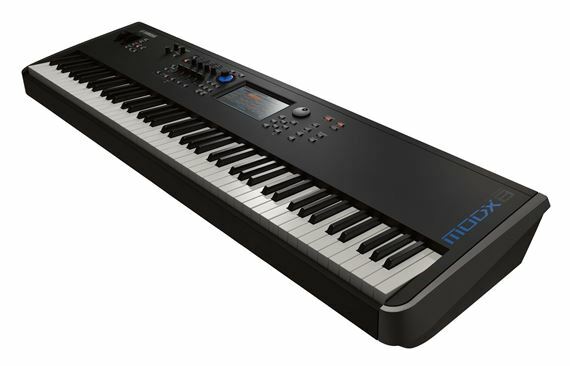 In addition, MODX8 features 88 weighted key action for an authentic piano feel as you tweak your sounds with the intuitive controls. The MODX sound engine is based on the same technology powering the flagship MONTAGE: AWM2 (Advanced Wave Memory 2) sample and synthesis engine and a pure FM-X (Frequency Modulation) synthesizer modernized for amazing sound playback and complex sound design. Empower your creativity, take control and stand out from the crowd with MODX: a compact, lightweight synthesizer designed for inspired music-making. Take control and stand out from the crowd. Bring the sophistication of music production automation to real-time live performance with Motion Control. My husband loves this keyboard!!! 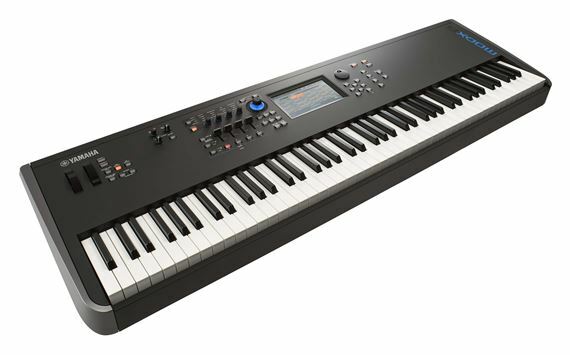 I was looking all over for this keyboard b/c my husband saw the smaller version and fell in love, he only plays the keyboard with the 88 keys. I saw how bad he wanted it, so from that day forward, I knew what I was getting him. I wanted to surprise him for Christmas, so I went to all the music stores I could find and everyone was sold out. They kept telling me I wouldn’t be able to find it, but I couldn’t give up. I couldn’t remember this sites name so I asked and he told me. I wrote down the exact name from going to the stores and found this EXACT keyboard. I was so excited. I ordered and it came right when it was suppose to. He loves this keyboard and everything that comes with it. Thanks so much! I will definitely recommend. This is the best keyboard by far ...the sound is amazing. Great buy! I’ve ordered the M08 , the M0xf and now the M0dx , I have to admit they all sound amazing, but the M0dx has to be the best sounding of them all, when I’m playing something at my Church on it , it makes me feel like I’m in heaven at that moment, I love it!!!!?? Great piano feel and sound. I'd recommend it. As an owner of a MOX8, I was ready to upgrade. I was super excited about this new MODX8 version coming out. I decided to treat myself for Christmas. One of The best Christmas gifts ever! I am blown away by the rich sound, and new sounds and programs added! Still getting used to the knob, but love that they brought the sliders back! The only thing I didn't like is that the keyboard didn't come with a power cord. At this price, I believe that should have been included. Good thing my MOX8 cord fit, so I will use that for now until I order another one. But, overall I highly recommend this keyboard! You won't be disappointed!